KYIV. May 3 (Interfax) – Kyiv on Sunday denied allegations by Moscow that Ukrainian heavy artillery has been shelling Donetsk. 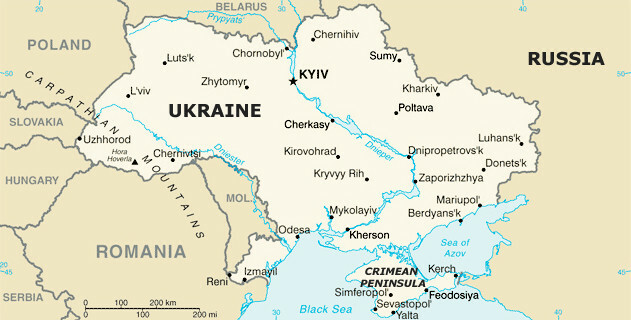 “Any use of weapons by units of the Armed Forces of Ukraine, if it takes place, is purely and simply a forced response to armed provocations from illegal armed units that are active in individual districts and is made in the event of a direct threat to the lives of Ukrainian military personnel,” the Ukrainian Foreign Ministry said in a statement. “We are convinced that the groundless accusations from Russia should be urgently and carefully investigated by the OSCE [Organization for Security and Cooperation in Europe] and its Special Monitoring Mission to Ukraine,” the ministry said. Earlier, Russian Foreign Minister Sergei Lavrov urged the OSCE to demand that Kyiv end reported bombardments of Donetsk and hence stop violating the Minsk agreements. “In connection with reports that Ukrainian armed forces had launched heavy artillery attacks on Donetsk, the minister of foreign affairs of the Russian Federation, Sergei Lavrov, telephoned the OSCE chairman-in-office, Serbian Minister of Foreign Affairs Ivica Dacic, and urged him to use his powers to have the OSCE Special Monitoring Mission to Ukraine demand that Kyiv immediately end violating the Minsk agreements,” the ministry said on Facebook. Dacic promised to take all appropriate measures, the ministry said.